I've had a wildly busy summer so far-- my article on white people and racial justice went viral, I wrote a series of articles on feminism and sexism that I'm really proud of, I got to be on live national TV, I'm coaching the MN Brave New Voices team, and a million other things... it's easy to forget that I'm an MC too. My new project, a collaboration with MC Dem Atlas and producer Rube (who also did the cover art above), will be available on vinyl and free digital download on August 13. Pre-order the record, get the digital version instantly! Yup. Everyone can download the digital version for free on August 13, but if you pre-order the vinyl, you can get all three tracks right away. This is a limited edition vinyl, and may very well be the only record I ever release, so scoop it up. Order now at Fifth Element! 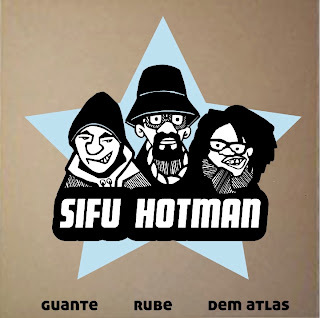 SIFU HOTMAN is a hip hop collaboration between MCs Guante & Dem Atlas and producer Rube. 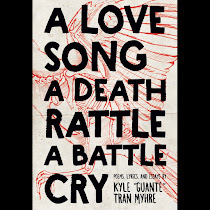 Featuring funky, up-tempo beats perfect for the b-boys and b-girls paired with razor-sharp lyrics from two of the most singular voices in the Twin Cities hip hop scene, this three-song suite will be released on vinyl and digital download on August 13, 2013.